Well, well, well, what to say about Pizza Hut pizzas? They taste the best and that’s a fact. I’m sure not everyone might second that, but, by the time you end up reading this article, you surely will. Ever since the early 90’s, when globally recognized fast food chains started to establish a stronghold in the Indian market, Pizza Hut was the only globally recognized Pizza Brand in India to introduce some extremely savvy localized pizza options. They knew that in order to be more effective, they had to introduce some options with the local touch. If you do not believe me, refer to their online menu and take a look at the special Rawalpindi Chana pizza once. Trust me you will be amazed. That’s not it. I am surely not here to promote Pizza Hut. Not that I get money for it or something like that, but, I surely notice the uniqueness of the brand. Pizza Hut has always been upfront when it comes to preparing pizzas that foremost, taste well. Not to mention, they even look exceptionally delighting. And now they’ve come up with the super special Cracker Thin Crust pizzas, the best thin crust pizzas you might have ever tasted. Further ahead, I’ll talk present before you 4 exotic Pizza Hut pizzas that taste best with a thin crust. 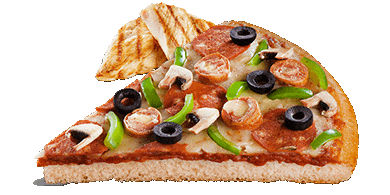 Veg pizzas need to be prepared with utter care to bring out the best flavor and taste. 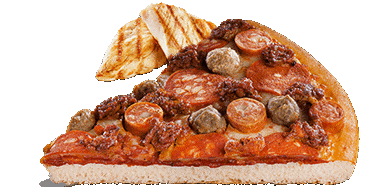 Even if the toppings aren't proportionate or the cheese is less (or more), things can go wrong and the overall taste can get spoiled. Case in point, Pizza Hut is a pioneer when it comes to Pizza making and an innovator to quite an extent. So to speak, this particular pizza is truly a delightful treat for all the vegetarian pizza fanatics. 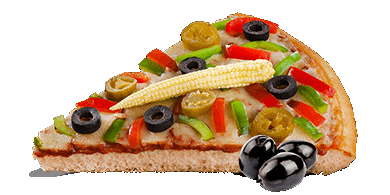 What you get here is a great combination of Red Capsicum, Green Capsicum, Baby Corn, Black Olives, and Jalapenos. To make the best of this pizza, all you need to do is simply customize the pizza base and replace it with a cracker thin crust. For those who have a soft corner in their heart for Paneer a.k.a Cottage Cheese, Paneer Vegorama is just the ideal treat. 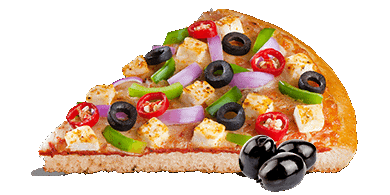 What you get here is a subtle combination of Paneer, Onion, Capsicum, Black Olives and Red Paprika. And when the base is thin crust, you would surely have a delightful time. It’s the crunchiness of the base that redefines the taste of this exotic pizza. Note: You may fall in love with this pizza so bad that you might end up ordering one more. So be prepared. For those who have a thing for non-veg, Chicken Italiano is a perfect match, meeting your non-veg fetish. The Smokey combination of Chicken Pepperoni, Chicken Sausage, Mushroom, Capsicum and Black Olives will tickle your taste buds so bad that you’d want one more pretty soon! And when combined with Thin crust, this pizza has no match. Yes, mark my word on that. As the name suggest, this pizza is literally the best or should I say the “ultimate” non-veg pizza offered by Pizza Hut India. There is no instance of any veg toppings in this pizza. It’s a purely non-veg delight and you will dig it, big time. The best thing about this pizza is that when you combine it with the savvy cracker thin base, you will end up with a foodgasm. The crunchy thin crust base combined with a variety of mind melting non-veg toppings will make your mouth water, literally. Nuff said, time for you to make a pick out of these 4 savvy pizza options and see for yourself what delights you the most! Ready for some quality pizza tasting time? Sure you are! Order the best thin crust pizzas from Pizza Hut India and avail some exclusive discounts!